Molly has new pajamas and a new bed. 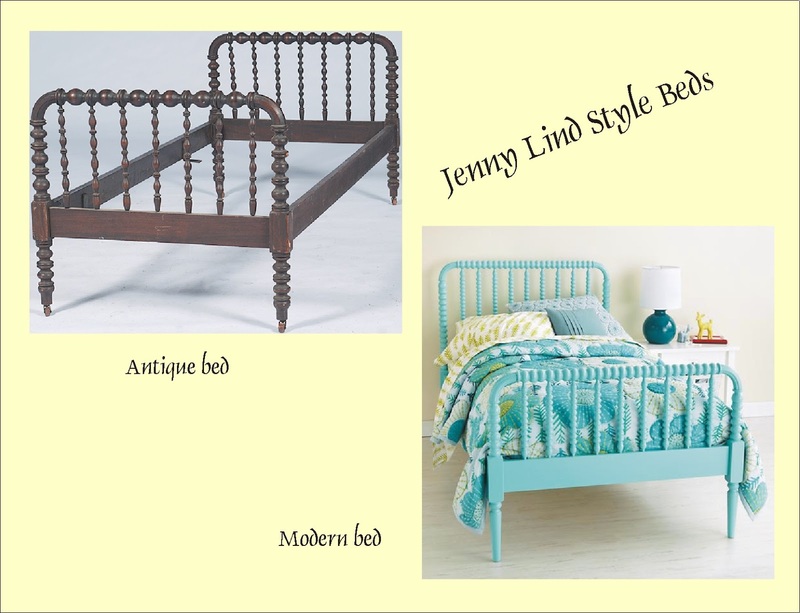 The description notes that the Jenny Lind style bed was popular during her era. I did some research and the style is still popular today. I've seen these beds before at flea markets and stores, but never looked closely enough to know the right name. This is very exciting! Not because I’ll get a new sister (not going to happen; won’t even be getting a bed), but because Jenny Lind is one of my favorite historical people AND today I've learned something new about her. She was so popular that she had a furniture line named after her like Kathy Ireland and Brooke Shields. 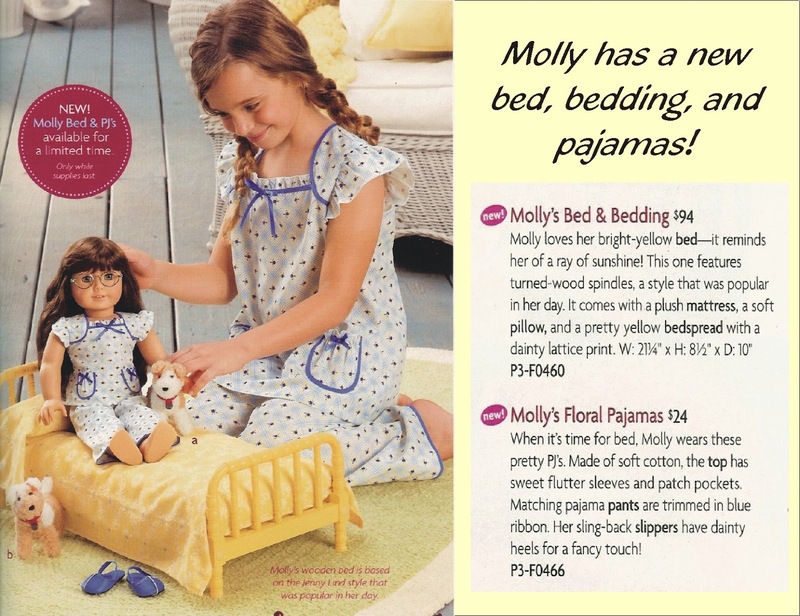 Molly’s Jenny Lind twin bed is painted bright yellow and has matching bedding. The set is quite bright and sunny, perfect for lifting the spirits of a girl during World War II. I put the details in the poster, but if it’s too small. The set includes the bed frame, mattress, pillow, and bedspread for $94. Her pajamas (top, bottoms, and slippers) are $24. Jenny was born Johanna Maria Lind in Sweden on October 6, 1820. A very popular soprano. 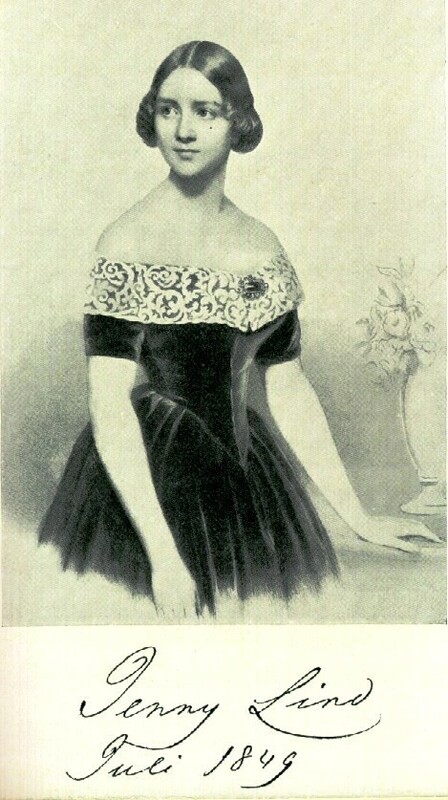 Her voice was so lovely she earned the nickname “The Swedish Nightingale.” She was the Taylor Swift of the late 1800s. She didn't write songs about her ex-boyfriends though; she performed soprano opera roles in Sweden and across Europe. With her name on the marquee/poster the theaters sold out! Her reputation caught the interest of PT Barnum (you've heard of Ringling Brothers, Barnum & Bailey Circus, right?) who invited her to tour in America. She wouldn't come without a guarantee; and the $200,000 advance he paid her was minor compared to the $3 million (do your best Dr. Evil impression) she earned. AG is also introducing a new way to store your dolls. On the wall! 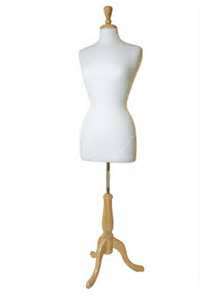 This keeps your floor tidy and increases shelf (or closet) space by making dolls works of art. I’m not so sure I’d have fun hanging on a wall by my armpits. 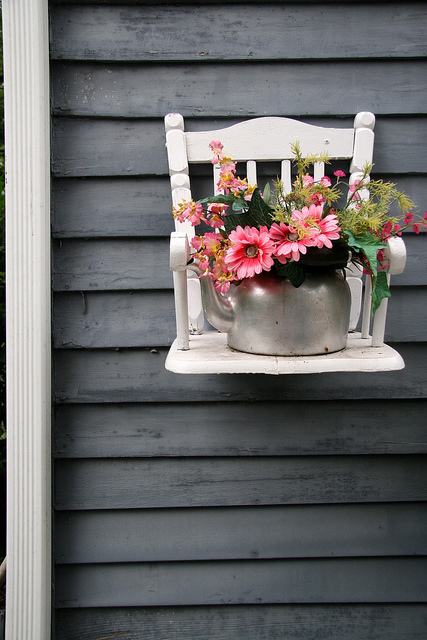 J However, a way to use this and keep your dolls comfortable…Hang a doll chair on the hooks and use a wide ribbon as a seat belt to secure your doll to the chair in a sitting position. Sorry, no exact picture of this idea, but something like this on a smaller scale. The pet page, of course! They look so cute in these poses. I think I may put Meatloaf on my Christmas list this year. He’s just too cute for words. Did you get your catalog? 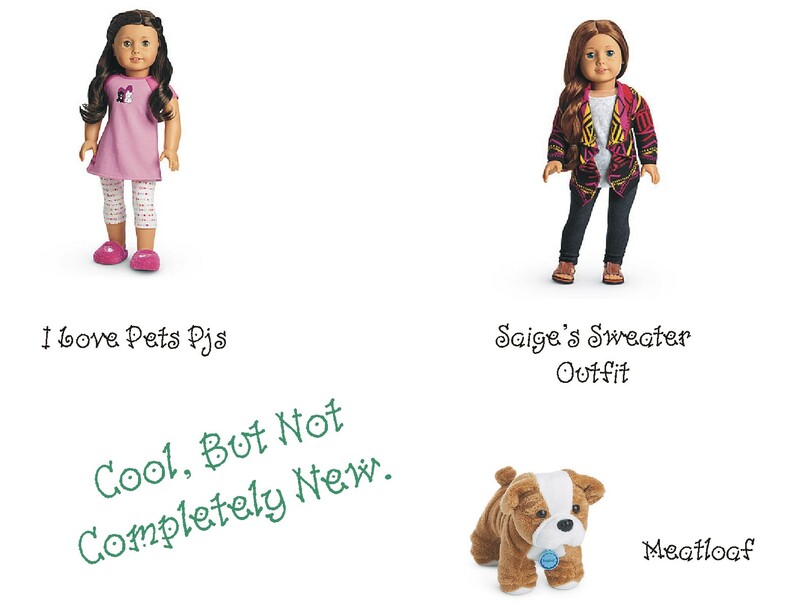 If not you can visit the American Girl website to see “What’s New.” Don’t forget window shopping is a lot of fun—I always like a lot of stuff in the catalog, but rarely (if ever) get all my wishes. Sorry, no new tea information today. I was so excited about sharing the catalog news with you I only had time to grab Earl Grey. Sending warm wishes to everyone involved with the recent major winter storm and the upcoming one! I’m not sure how much snow or other precipitation you got or are getting, but I hope you and your families stay cozy, safe, and warm throughout. On the upside, the snow will melt to water the land and the cold will freeze pests in the ground reducing their numbers for the spring and summer. Look for that silver lining when you can; it’s not always easy. One way to keep warm is to drink a nice cup of hot chocolate, cocoa, or…tea. J (You knew that was coming, right?) A nice blend for cold days is black currant tea. I had STASH Premium Wild black Currant herbal tea. According to the ingredients this is really a tisane (pronounced tea-zahn) or herbal infusion of herbs, leaves, flowers, spices, etc. It does not include the leaves from the camellia sinensis (cam-mill-ee-ah sin-inn-sis ) plant where we get white, green, and black tea. 100% natural ingredients: hibiscus, rosehips, lemongrass, orange peel, chicory root, blackberry flavor, black currant flavor, and licorice powder. Mine seems to be an older version. I checked over at www.stashtea.com and could only find Yumberry BlackCurrant. They replaced the blackberry with yumberry flavor. To this one I did not add milk. What is a Black Currant? The black currant is a berry grown on a shrub. The fruit is filled with vitamins, nutrients, and phytochemicals. Its flavor is strong and tart so not usually eaten raw. They can be used as a whole berry or dried. 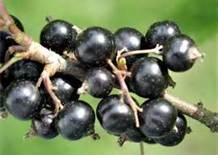 You can find black currant used to make juice, jellies, jams, sauces, in baked goods, cheese cake, yogurt, etc. AG’s Body Book Gets Revamped! 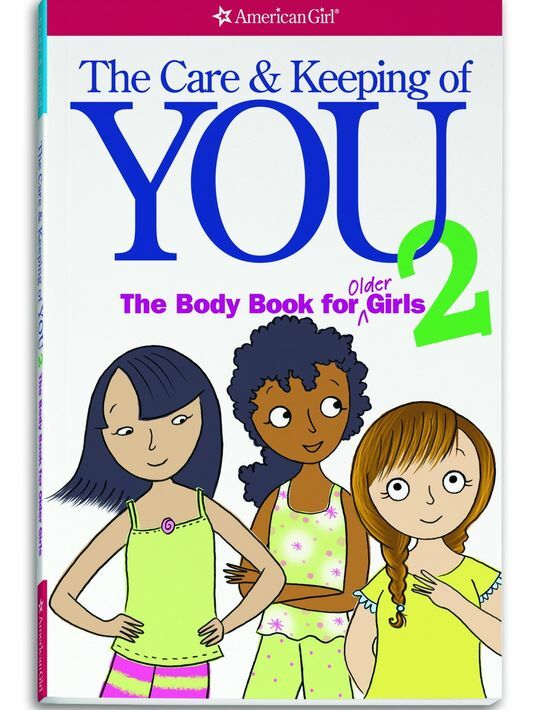 American Girl’s The Care and Keeping of You: The Body Book for Girls has been revised and is available in two volumes. 1 for younger girls and 2 for older girls. Plus there are additional items in the collection: a journal, a feelings book, and a feelings journal. You may have seen this already in the book section of the catalog of website or at your favorite bookstore, but today…today it is a feature in the Life section of USA Today. Reporter Michelle Healy interviews Cara Natterson, a board-certified pediatrician asked to help update the 1998 original and write the companion volume. It’s a great interview; here is the link. That’s it for today! Looking forward to tomorrow. Have a great day! When you think of a tea party, what is being served to eat? Tiny sandwiches? Cookies? Roast beef? There are two types of tea: high tea and low tea. The name comes from the type of table on which it is served. What most US citizens consider high tea is really afternoon or low tea. Afternoon tea is where you will find the fancy sandwiches, other bite-sized morsels, and cake. It tends to be served mid-afternoon (around 4 PM) on a low table in a sitting room (i.e., the coffee table in the living room). High tea, on the other hand, is really the evening meal served at a high table (i.e., kitchen or dining room table). There you will find “meat and two veg” along with breads and perhaps “pudding.” [Luna Lovegood was always going to see what was for pudding in the great hall. Pudding is another word for dessert.] High tea, also known as meat tea, is served around 6 PM. Well, that’s not completely true. If your tea party is spontaneous…you’ve just finished playing tag or Mario Brothers or building a Lego Friends kit and decide “Let’s have a tea party”…then wardrobe is not an issue. However, if someone invites you to a tea party with a special invitation, etc. then you want to pass over this ensemble and go with something a little more polished/fancy/dressy. I like to shop all the collections for clothing, accessories, etc. 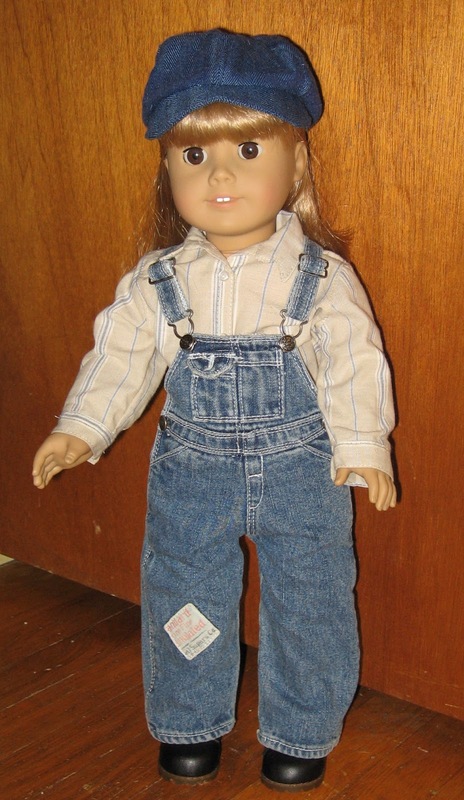 I was lucky enough to get something from Samantha’s and Felicity’s collections before they were retired, but today I want to focus on Kit’s Overalls Outfit. This one was introduced in 2001 and retired in 2011. A pretty long run for a collection outfit. Those who love Kit or have read her stories know that she wore this in Kit Saves The Day when she tries to blend in with the hobos along the railroad. I only have one part to the outfit; kit’s work boots and Hobo Camp Supplies were sold separately. The main outfit includes the denim overalls with flour-sack patch; the striped, button-down, collared shirt; and dark blue, pageboy cap. I added the boots from the Mod Outfit (see Jan 10). Kit’s stories are really well written. She lived during a very hard period in US History…The Great Depression. My one issue with Kit’s collection is that she has too many clothes. A girl in her situation would have had one school outfit, Sunday outfit, and something to change in after school for doing chores. She might also have had a flour-sack dress and, perhaps, a hand-me-down dress from a friend or older family member, but not much else. 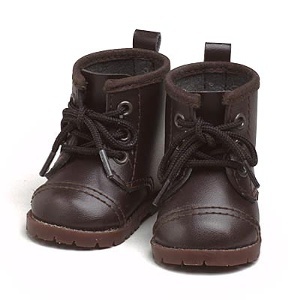 There were people who didn’t have coats or shoes because they couldn’t afford to replace them when they were outgrown or just worn out. That’s not a big deal in the spring or summer but think about not having a coat (or shoes) in January. Yikes! Yesterday was such a let down I kept is simple with a cup of Trader Joe’s Earl Grey. Am currently enjoying another cup of basic tea. J It’s fun to try things and good to have dependable favorites. What do you snack on with your tea? This afternoon I had a toasted, raspberry, frozen waffle (like Eggo) topped with butter and blackberry jam. Very tasty. Other times I have cheese and crackers. Did you notice anything different today? Hannah gave me some tips and I started investigating ways to spice up the blog and have it reflect me a bit more. I have four favorite colors…can you tell what two of them are? J I hope to add a few more things as we move along, but I’m still learning how to do this. It’s exciting to explore the different gadgets and layout styles. 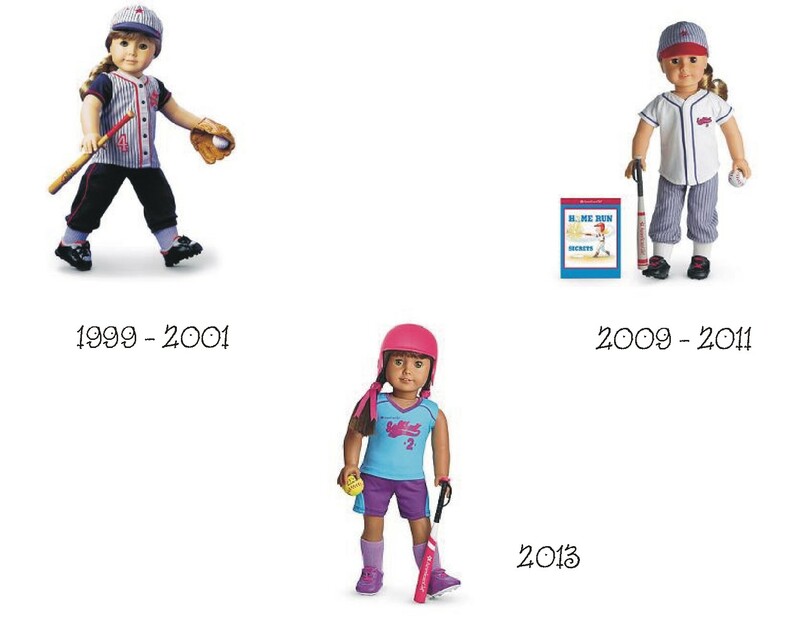 The Jacket and Cap Set was released in 2004 and retired in 2005. 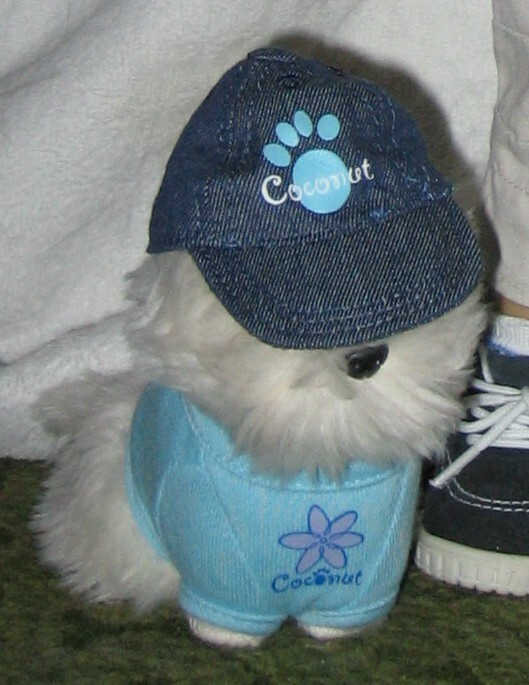 The set included a jacket and cap for me and a shirt and cap for Coconut. Here we are modeling the set. My jacket is heather grey with pale aqua sleeves, a Coconut graphic, and a flower zipper pull. Coconut has a pale aqua shirt with a lavender flower graphic that matches my zipper pull. The hats are both denim, baseball-style caps. Mine has a picture of Coconut and Coconut’s has a paw print. Very cute. Check out this close up of Coconut. The jacket is more of a hoodie than a jacket. It fits over my white tank top (from the Play Outfit discussed earlier), but not much else. It does pair well with different bottoms. Here I’m wearing the khaki cropped pants from Coconut’s Best Friend Outfit and the sneakers from the Cargo Outfit. The March/April issue of American Girl arrived last week. Well, it was in my mailbox last week; should be in stores this week. So many cool features: crafts, recipes, quizzes, polls, articles and posters about horses, AND a Saige short story called A Picasso Original. Check your local grocery store or bookstore to see if they have it. The story is 5 pages in length…you can probably get it read while shopping and not need to take it home. Historical Girl Addy Walker’s story (which Xyra must read!) is set in 1864. Addy escapes to Philadelphia via the Underground Railroad and works to get her family free too. Tea of the Day—NOT a favorite! We’re always ready to try something new. Major fail today! We’ve heard mixed reviews about chocolate teas. The Glucks Tee was really good, so when Xyra saw a tin of Creation Gardens Chocolate Delight Tea. The description: “Rich and Nutty, mildly sweet” sounded inviting. However, the ingredients (green and black tea, cocoa, chocolate creamer, stevia) made us wary. What’s in that chocolate creamer? Stevia, or sweet herb, isn’t an issue, but can make things too sweet. What form is the stevia in? Dried leaf? Powdered? Processed? Blech! HORRIBLE! Not a good start to the day. We let it steep for 3 or 4 minutes and added a little bit of milk. It didn’t taste right from the start. Not very chocolatey or nutty; just very sweet with a weird after taste. I did finish my cup, but rushed to get something else to drink right away. Settled on some good old Lipton. J I’m sure we’ll try again with this one and other brands, but we’ll look at the blend ingredients more closely. Xyra just finished reading Julia’s Cats. It’s about The French Chef, Julia Child and the cats in her life. 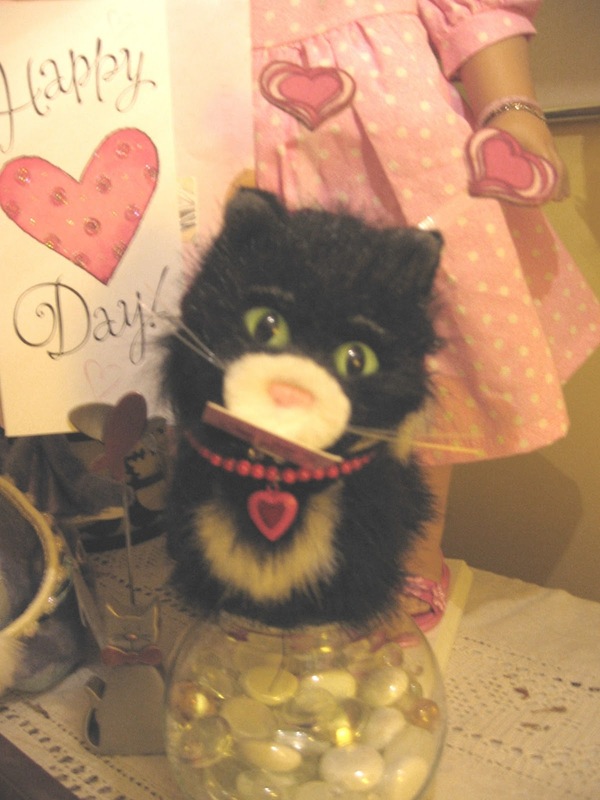 She had many over many years and it made me think of our own group of kitties. Licorice was the first. Then Marisol’s cat, Rascal. Finally, Kirsten’s Mama Cat and Kitten joined the pussycats here (they arrived before Kirsten did!). Today let’s talk about Rascal. 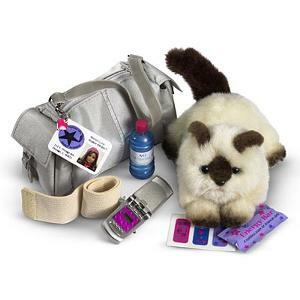 Rascal arrived in 2005. He is an adorable seal-point Siamese kitty with blue eyes. Seal-point means his ears, nose, paws, and tail are dark brown (like the color of a seal). Did you know that light reflected off the eyes of a cat with blue yes shines red while it shines gold off green eyes? Pretty cool! While Marisol allows her Rascal to be an indoor/outdoor cat, here he is strictly indoors. He gets plenty of exercise playing with the other cats in our family. (We’ll talk about Mama and Kitten another time). As you can tell I like to collect from all the AG collections. Don’t you? Exciting stuff all the time. Marisol was Girl of the Year 2005. She liked to dance and Rascal arrived with her dance duffle. She’s the reason I have a cell phone. Love that little silver flip. It’s no smartphone, but it works great! The package also included: a silver duffle bag, ACE bandage, bandage stickers (although, I thought mine had the clips), energy bar, water bottle, and ID tag. Hope this isn’t too long, so much to share. Have a great day! 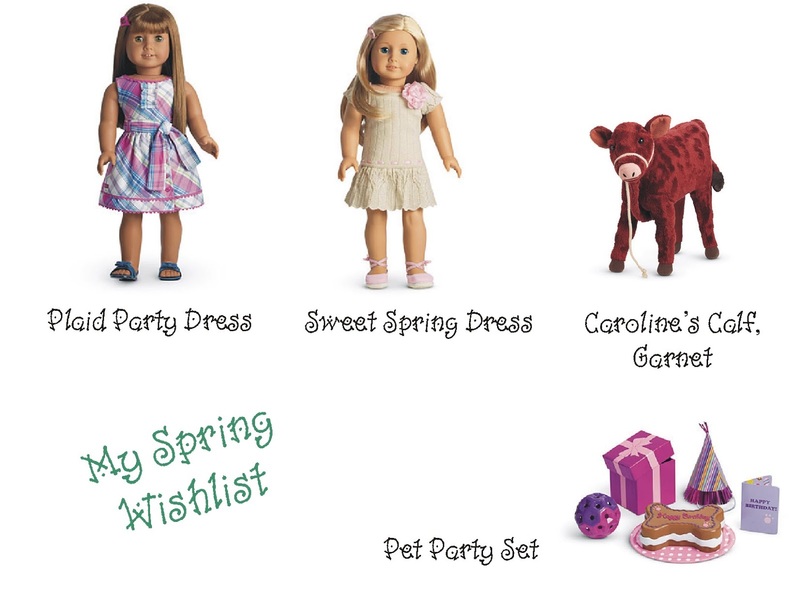 Yesterday, Hanna posted about the spring preview at American Girl. I checked my email, found the Valentine news announcement, and headed right over! These are the new “new” things that caught my eye right away. Both dresses are $30, the calf is $28, and the party set is $20. 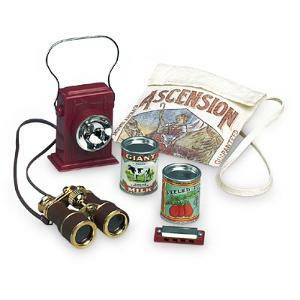 These items also caught my eye, but they were in the last catalog. Saige’s outfit is the most expensive at $34, the pajamas (pjs) are $24, and Meatloaf is $22. Of course, just because I’m wishing doesn’t mean I’ll be receiving. J That’s okay. Window shopping is fun too! There is a new softball set this year. This is actually the third incarnation of the softball set. See the progression below. We’re lacrosse players, so the softball uniform isn’t that exciting to us, but we have friends who play and would love it. What do you do for exercise? Doesn’t have to be a team sport or even competitive. Riding your bike through the neighborhood or roller skating are great ways to be active, so is walking the dog. Repeating picture so you don’t have to flip back (unless you want to). The dress I’m wearing for Valentine’s Day was a gift. I love it. The dress itself is constructed using a light pink, calico material with two sizes of white polka dots. The dress is collarless with short, puffed sleeves, and a hem that falls to mid-calf. The bodice is embellished with a white kitten appliqué. The dress is well constructed; however, it is quite loose. This designer followed the pattern, but did not have a model. Loose is better than too snug. Right now it feels like spring (50 degrees today) but if the temperature drops I can add leggings and a long-sleeved tee shirt under this dress. 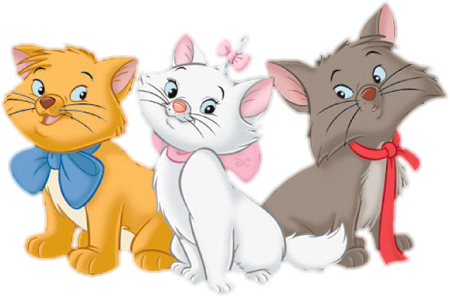 I like to call it my Aristocat dress because the white kitty on the front reminds me of Duchess’s daughter, Marie. My headband is one of Xyra’s bracelets. It’s very pretty. If it had a clasp it would make a great necklace. Human bracelets and anklets make great 18” doll necklaces. We can share things with our humans too. The barrettes, clips, and ponytail holders in the Hairdo Helpers work just as well for humans as they do dolls. Did you know you can decaffeinate your tea at home? Black tea contains 45-55 milligrams of caffeine; green tea has 1/3 that amount. Most caffeine (80%) is removed from the tea during the first 30 seconds of steeping. Watch the clock then dump that first cup. Pour fresh hot water over the leaves and let steep the regular 3-4 minutes. No matter what you have today, may it be enjoyed with love. 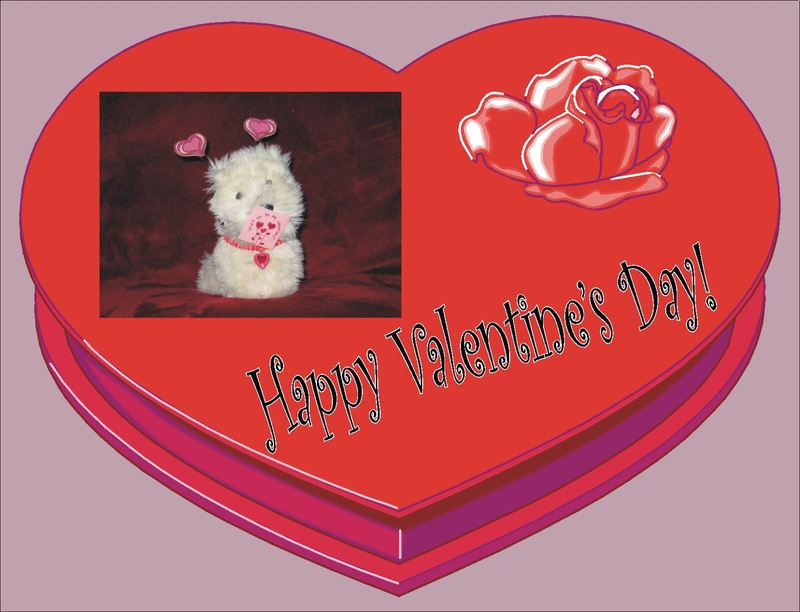 J Today is the perfect day to get out a heart shaped cookie cutter and make heart-shaped treats. Finger sandwiches, brownies, cakes, cookies, Jell-O jigglers, etc. We’re all in pink this year! Kirsten is wearing her birthday outfit. Yes, it might be a little chilly for that particular outfit, but she looks lovely and matches the rest of us. It’s too early for the daisy wreath tiara. Kaya is wearing the True Style outfit (release 2010; retired 2012) with the denim jacket from the Coconut’s Best Friend outfit. Lanie is wearing the Licorice’s Best Friend Outfit (released in 2005; retired 2007). I’m in another non-AG dress. This one is a bit too big (can you see how loosely it fits? ), but it’s very cute and perfect for today. The bodice is adorned with a fluffy, white kitty. J I added the sandals from the Seaside Wardrobe (released 2005; retired 2007). Happy Fastnacht Day ~ Shrove Tuesday ~ Mardi Gras! What is a fastnacht? It is like a doughnut only made of yeast-raised potato dough and shaped like a diamond or rectangle. The Pennsylvania Dutch/German would slice these in half and pour molasses on them (many still do this). Now you can find them covered in powdered sugar, granulated sugar, cinnamon sugar, glazed, or (my favorite) plain…so you can add your own molasses or karo syrup or Turkey Brand Table Syrup. In the early days (18th & 19th centuries), whatever fat was leftover from the process was spread on farm tools preparing them for the spring planting season. 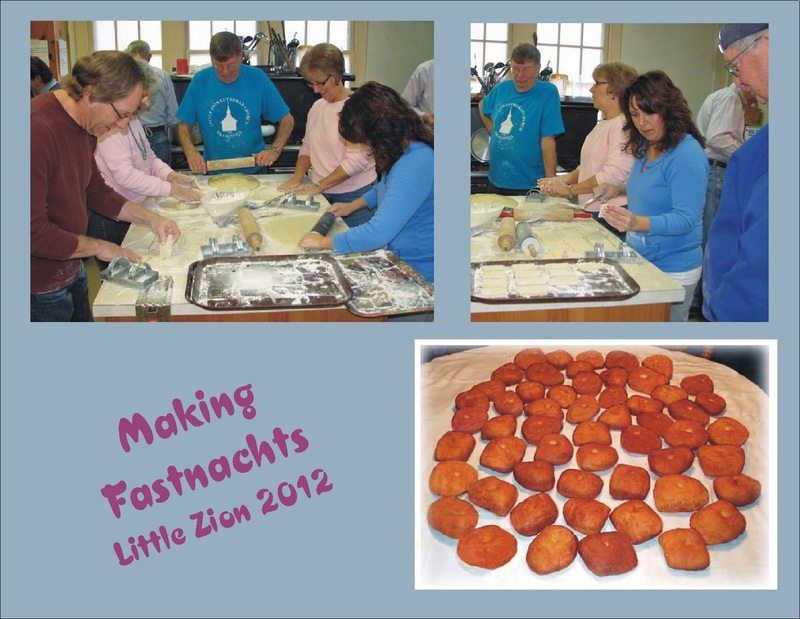 Our church makes fastnachts each year to help raise money for the Bear Creek Campers’ Scholarships. The group varies in size and starts working Sunday after noon through today when the sell out of their wares. They’ve made the news several times. The past few years they have made over 350 dozen fastnachts. Church smells like fry oil into the next week. 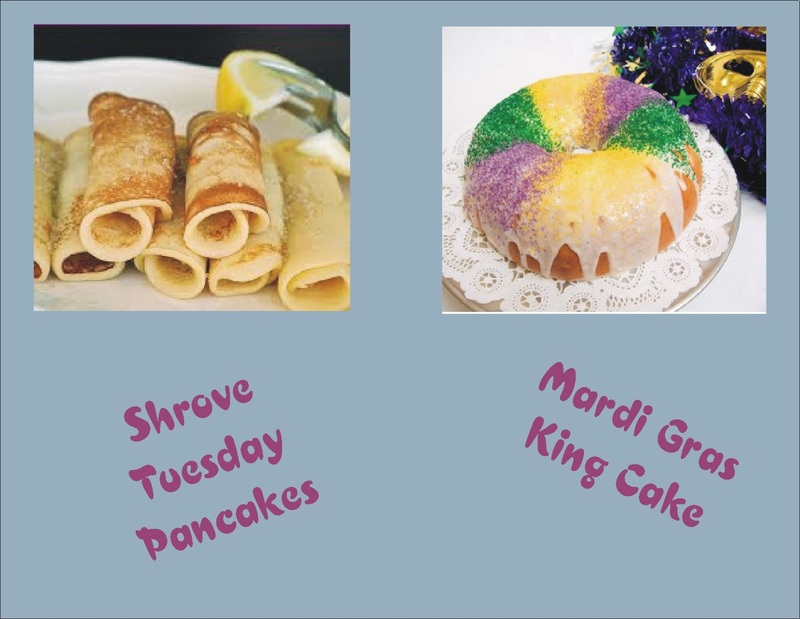 I hear that some cultures celebrate Shrove Tuesday by eating pancakes and that the big treat for Mardi Gras is King Cake. Tea of the day: Glücks Tee or Fortune Tea. What a perfect combination with your fastnacht. This is a red tea or rooibos blend with cocoa shells, cinnamon, anise, licorice, and vanilla. It comes in tea bags. I like to the let the hot water stir up the final mix, so I add my sweetener and milk (if necessary) and tea bag to the cup at the same time then pour hot water over all. Read your brewing instructions and suggestions. This one suggested I use honey instead of sugar; it made a HUGE difference in the final taste of the tea. So did letting it steep for 8 minutes instead of just 3. Past experiences tasted good, but not quite right. A flavor/taste would stick out oddly. This time…WOW! I could taste the cocoa, but the spices blended better and it just made me feel nice. 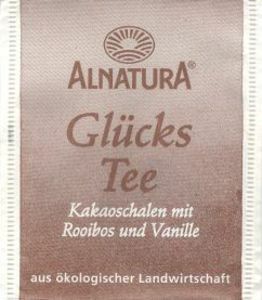 The Glücks Tee is another selection from the Alnatural adventskalender box we discussed earlier this month. Time to dress up for a fancy party! In the first year or so I didn’t have a fancy outfit to wear at Christmas. [Xyra regrets not getting me the Garnet Holiday Outfit & Accessories (only available in 2001)…especially since the garnet is our birthstone.] Xyra found this gown at a Frederick Mennonite Community craft fair. The fabric is a sturdy, multi-color striped brocade or taffeta. Some of the stripes have a metallic shine to them. See how they shimmer in the picture. The ankle-length gown has a fitted bodice embellished with lace and beadwork; long, puffed, sleeves with ruffled cuffs; and high collar. This picture was taken after 2004 and incorporates the muff, shoes, and tights from the Winter Magic Outfit (we’ll talk about that one in more detail another day). See how nicely this gown fits. The collar doesn't sag or droop forward. The bodice is close to my body without being too tight or too loose. The person who made this gown must have had her own doll to use as a “dressmaker’s dummy” and knew how to tweak the pattern. Notice how all the stripes are straight either vertically or horizontally. The front is beautiful. The back doesn’t quite line up as nicely around the Velcro closure; luckily when my hair is down that’s hidden. J This was a successful find. J A really nice gown for fancy days. Have a great day! Don’t forget to do a little celebrating today! Despicable Me was on ABC Saturday night. Have you seen it? It’s funny and touching. There is a great tea party scene with Gru, Margo, Edith, and Agnes. He was teaching them to clink glasses! *shakes head* That’s a BIG no no. Tea is best served in fine, bone china. Clinking would damage the cups. So I looked up a few bits of trivia about clinking glasses and tea etiquette. Do not stick out your pinky. It’s considered rude. Do not hit the side of the cup with your spoon while stirring. Do not leave the spoon in your cup while sipping – never sip from the spoon. If seated, do not lift the saucer off the table. Watch what you are drinking when you sip thus avoiding spills on your shirt. Do not slosh your tea when it gets low in the cup thus avoiding splashing tea on the tablecloth. That’s a lot of “do not”s. I like the “do”s better. Do share your favorite tea with friends. Do have fun setting the table and choosing your tasty morsels. Do enjoy the time with your friends. Licorice was introduced in 2003. She is a black and white, American, longhair cat with green eyes. 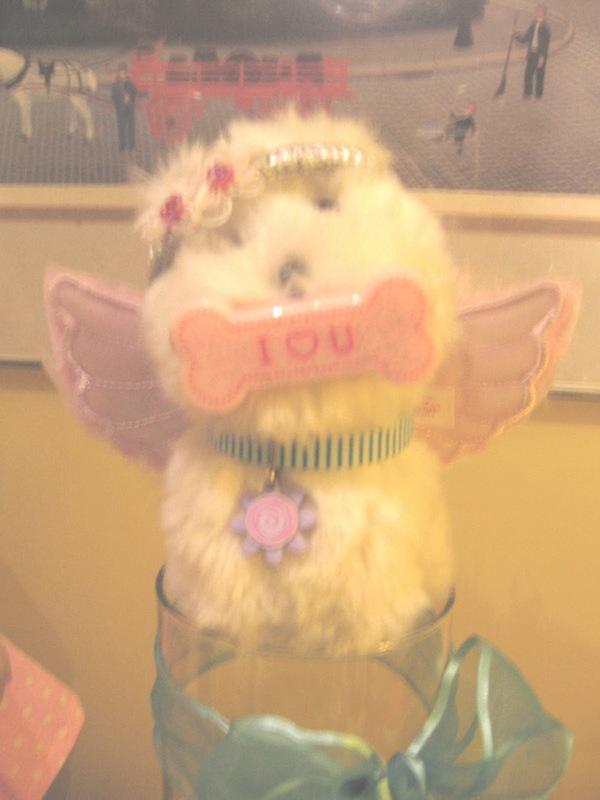 She arrived with a rhinestone collar, cushion, and cat toy. Here she sits in Coconut’s Sweet Dreams Overnight accessories bed. This version of Licorice was removed from the catalog in 2008. She was redesigned for re-release in 2012. This is Coconut (back in 2006) in the same bed with the sleep mask. Too cute! Have you tried any new teas lately? This morning I found a single bag of Celestial Seasonings Devonshire English Breakfast tea. It was very good. According to Bing search results…they use this quote a LOT. And it’ isn’t from a poem but from her letters to someone. Did you know that libraries will catalog the letters of certain people? Can you imagine trying to catalog emails or texts? Yikes! My cup is currently filled with STASH Earl Grey. I think STASH does something differently with their blend; it just doesn’t taste anything like Twinings or Bigelow. Not bad, just different. Before my sisters (Kaya, Kirsten, & Lanie) came along I had tea parties on my own or with other friends. I’m sure you’ve done the same. Had a tea party with your mom or aunt or grammy or even your furry friends. Who was at your table? There were three regulars at my first tea parties; I’d like you to meet them today. Felicity Merriman. 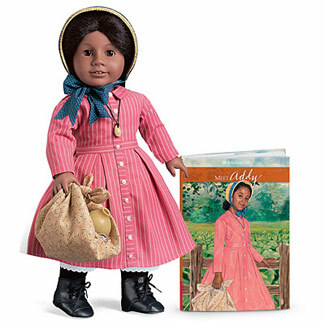 J Did you know Felicity was the fourth historical doll created by American Girl? She was born in April 1765; lives in Williamsburg, Virginia; and her story takes place during the American Revolution. Her Meet book is my favorite (Xyra hasn’t read her series yet!). She’s wearing her shoes in this picture, but usually they are stored away in her box so they don’t get lost. Bitty Lambie. My first stuffed animal. One of seven animals introduced as the Bitty Bunch. 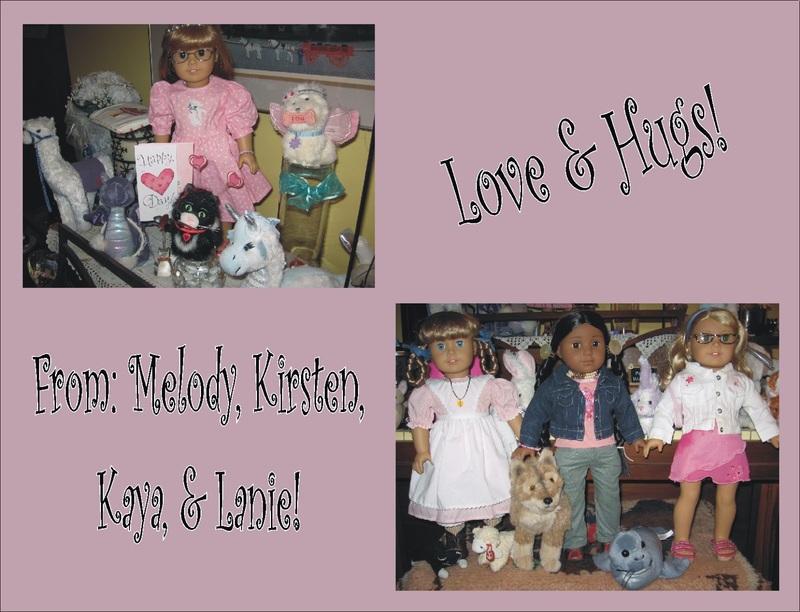 They were companions to Bitty Bear (and Bitty Baby). AG retired the Bunch in 2009. The other Bitty Bunch members were Bitty Ducky, Bitty Bunny, Bitty Froggie, Bitty Kitty, Bitty Piggy, and Bitty Puppy. Only Bitty Bear is available now. I straightened his bow for this picture. Hoppy Bunny. My second stuffed animal. This one is a Boyd’s bunny, not American Girl. It was a participation prize at a basket bingo. When my sisters are busy with other stuff, these three (and one more…I’ll tell you about that one later) willingly take their spots. What makes a cold winter night better? Hot cocoa! Xyra cheated; instead of warm milk, she added ¼ cup dry milk powder to the cocoa mix then added hot water. Topped it off with whipped cream. *sighs* DREAMY! Sadly, this mix is no longer offered by Tastefully Simple. All the really good ones get retired. Oh, well. They have plenty of good ones to choose from. Or you can make your own instant hot chocolate mix…you’ll need a jar or other airtight container for storing it. Combine ingredients in a mixing bowl and whisk until well mixed. Transfer dry mix to jar or other airtight container. To enjoy: Put 1/3 cup of mix in a mug and fill with hot water or warm milk. Top with whipped cream, marshmallow cream, or marshmallows (big, regular, or mini). Enjoy! This morning we started the day with Alnatural Energie Tee. You may be thinking, “Did she spell that right?” Yes, that is correct. Alnatural is a German company. Xyra’s friend in Germany sent her a adventskalender box last year. It has 6 bags of 4 blends which equals one for each day from December 1 – December 24. The box is cool…everything is in German! This is bag tea so we poured hot water over the bag, let is steep for 4 minutes, and sweetened it with 2 teaspoons of honey. It was really good while hot, but not so good cold. When reheated the honey was overwhelming. I’ll stick to 1 teaspoon next time. My Pajamas! 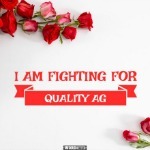 Not AG…Oh, My! What is the main item you need to pack for a slumber party or sleepover? Pajamas! Mine are not AG. That’s right. Not all of my clothes are “name brand.” Do I mind? Nope! You can get really cool things that fit, look great, and are less expensive from other places. My pajamas are from Michael’s. This pink and white striped set is very comfy. The pink stripe matches the pink in my bunny slippers ears (not pictured; slippers also from Michael's). Other places to find great clothes: craft shows and county fairs. There are two key things to look at when buying non-AG clothes. First, the display. Are the outfits just laid out on a table, bagged in Ziploc, or hanging on a rack with no model in sight? Those might not fit so well. But if the person has a few models you can see if they are too big or fit well. Second, workmanship. When you find something you like, look it over closely. Are there loose threads? Does the material pattern line up or is it crooked? Are the stitches straight? Turn it inside out, are the seams pressed open? Since you can’t return these items, you can be a little picky. Just be polite if you decide against the item. More tomorrow! Have a great night! * In order: lemongrass, ginger, peppermint, lemon verbena, licorice, and lemon rind. Green Tea Can Be Tricky!